Perfectly trimmed lawn is something than is not only time consuming but also an activity which demands a lot of efforts and specific skills. If you find it difficult to mow your lawn, because you have a busy working schedule or because you have already made other plans you have already another options. To receive an absolutely professional treatment of your lawn we advise you to take advantage of the services provided by our company. The gardening services included are more than enough to make the appearance of your lawn simply outstanding. Our company is respected and has a particular experience in lawn mowing. 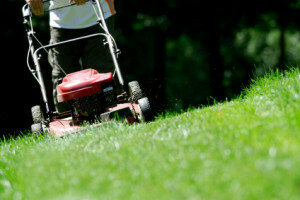 The customers can either benefit from a simple one off mowing or order a brand new gardening appearance of your lawn. The extremely reasonable prices of all the services is something that is highly appreciated by the customers. If the soil needs fertilizing our professional team will provide a special care by using eco friendly methods. By choosing us you will experience a high quality treatment of your lawn. We tend to be extremely careful when we apply the innovative methods of lawn mowing and fertilizing. The substances used to help the soil are designed with minimum amount of chemicals in them. Hundreds of customers have trusted our developing company so do not hesitate but contact our trained staff which will appear immediately in your home with all the appropriate machines and equipments. If your lawn needs special treatment because it had been damaged in a particular way we are prepared to sort out even such kind of situations. That is why we are the best lawn care company in the territory of London. The advantages for your lawn are innumerable. You can receive a full package of all the services offered at exclusive prices and at first class quality at the same time. If you desperately need a lawn mowing for your house do not waste time and we will immediately visit you to make a suitable appointment and to discuss any further details that are of customer’s interest. Never underestimate the significance of the appearance of your favourite lawn.